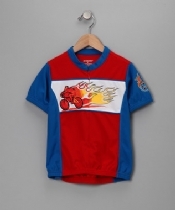 This is a true performance bike Jersey for your young rider. 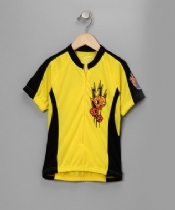 Whether he prefers the mountains or the road, this functional jersey is a great companion while he's on the saddle. 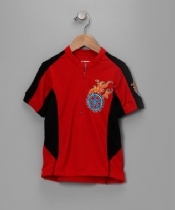 Fabric is functional with wicking technology and its UPF 50+ rating will protect from the sun's harmful rays. 3 rear pockets are just enough to carry around all of his necessities on the road. He'll love it so much he won't want to take it off after the ride.